This entry was posted in Uncategorized and tagged attractional, authority, celebration, cell, Christ. 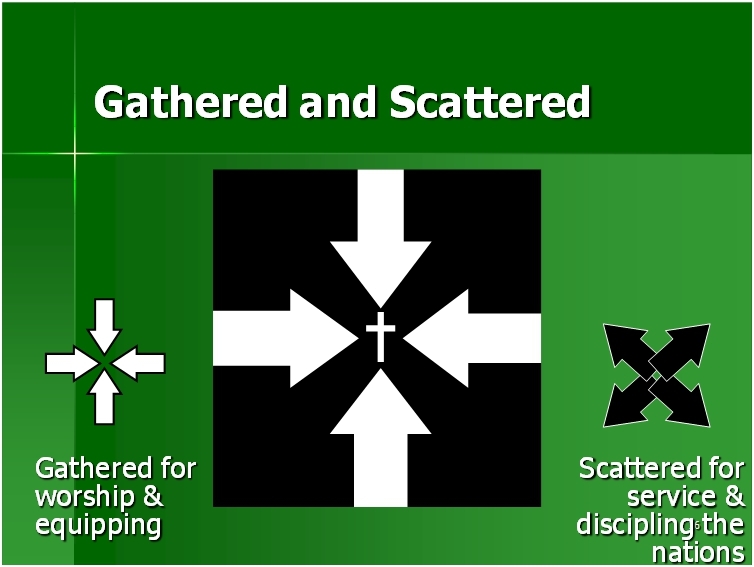 gospel, church, churchianity, come ye, confess, congregation, ecclesia, ecclesiology, equipping, gather, gathered, go ye, gospel, Jesus, logos, mission, missional, psalms, reconciled, sacrifice, scatter, scattered, shepherd, sin, sola scriptura, team, worshiping by Gregg Caruso. Bookmark the permalink.